1000g of creamy whole bean barista espresso made by Tschibo. This wonderful coffee is grown and refined in a drum roaster, strongly balanced, bittersweet, fine nut notes, with an fresh aroma. 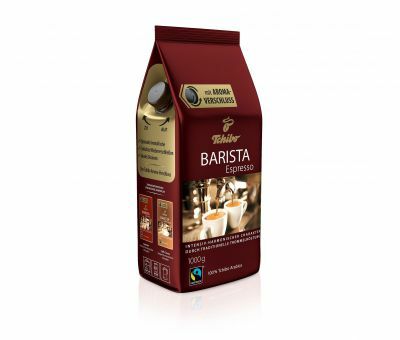 This coffee is idea as it comes with an easy open and closing option to keep the coffee fresh. Idea for coffee machines. 100% Tchibo Arabica.